In 1977, the new Café de Levante was opened in a small street named calle Almagro, with Carlos Blázquez and his wife Pilar at the helm of the revived business. The establishment preserved its essence through the furnishings and equipment from its former premises, but its staff and customs were revitalised. The talks and meetings continued, as they do today with the Origami club, although those of writers fell by the wayside. Yet, over time, celebrated writers and other figures once more came visit to this now legendary establishment. Nowadays, the café is run by the fourth generation of the family, continuing the family tradition and making it the longest-standing café in Zaragoza. Today, Carlos’s son, Oscar Blázquez and his wife Sonia strive to run a café that meets the expectations of the 21st century without losing the essence, tradition and memories of the old Café de Levante, which started its life very close to the Puerta del Carmen. When you cross the threshold of this magical place, you will be greeted by friendliness and good service, exquisite home cooking and innovative, natural iced drinks, among other delights. 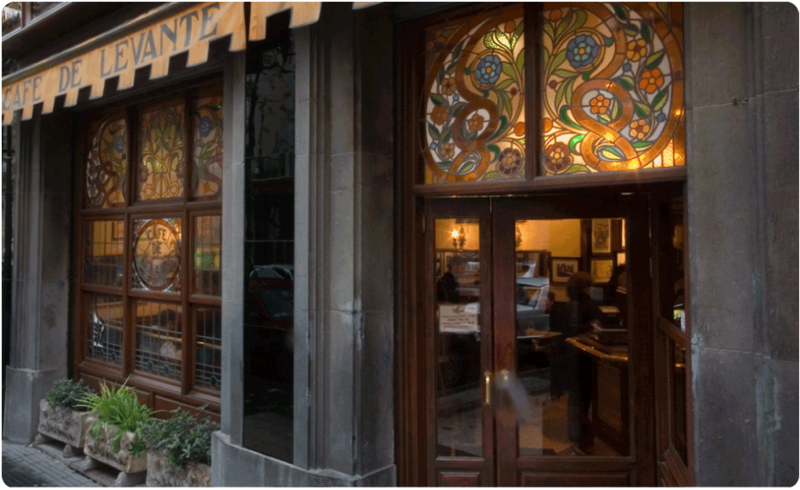 Café de Levante is a place with a charm and history that will leave its mark on you. In 1927, Café de Levante moved to new premises, in Paseo de Pamplona 9, a reflection of the changing times and developments in politics and city planning in Zaragoza. 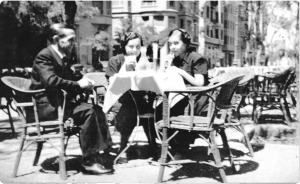 Augustín Charles used his entrepreneurial skills to obtain an evening permit and set up a evening terrace serving not only coffee but also more than 20 varieties of the new ice creams and iced drinks. The café also started hosting banquets and all kinds of other events. He mentored Félix Blázquez, who, after marrying Rosario, the founder’s daughter, took charge of the business when Augustín died in 1930. With the same spirit inherited from her father, Rosario and her husband became the soul of the café, a meeting place for all social strata. During this time, the café started to take an active role in Zaragoza society, hosting chess tournaments and talks by famous intellectuals. The changes in the city continued and the owner of the premisis decided to sell. Blázquez family had to leave and, after a long dispute that Félix did not live to see the end of, Café de Levante closed its doors in 1976. Félíx’s son, Carlos, who had given up his studies to help his father in the café was left in charge after his father passed away. The compensation received allowed him to open up a new establishment and to take a new direction. EFounded by the entrepreneur Agustín Charles in 1895 next to the Puerta del Carmen, the Café de Levante originally shared premises with the grocer’s store also owned by its founder. From the close of the nineteenth century, the café, whose name ‘Levante’, meaning east, was chosen as it lay at the start of the road leading in that direction, became part of daily life in Zaragoza, and soon became known as a family establishment serving coffee and almond horchata.Café de Lenvante in puerta del Carmen. In 1926 legal proceedings were launched to isolate the Puerta del Carmen. This led to the closure of the premises in 1927 and the end of this era.